Every subscription credited to your organization generates monthly donations. 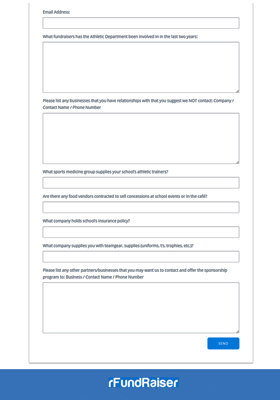 Simply fill out and submit the form below to find out if your organization qualifies. What is your goal for this ad? Do you already have the ad created or do you want rSchoolToday to create the ad? Which School(s) do you want to place your ad on? By choosing to participate in the rFundraiser web advertising sponsorship program you are on your way to earning funds for your athletic department! 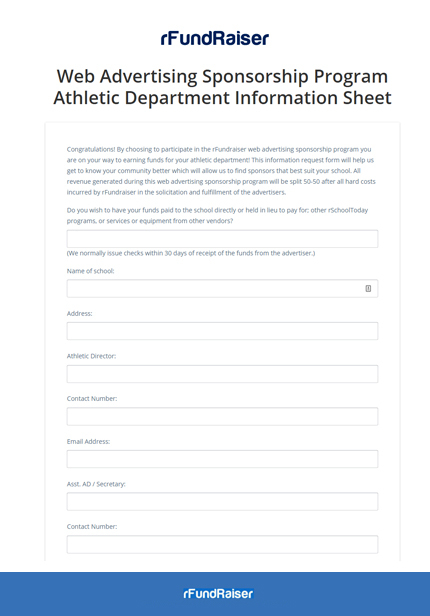 This information request form will help us get to know your community better which will allow us to find sponsors that best suit your school. All revenue generated during this web advertising sponsorship program will be split 50-50 after all hard costs incurred by rFundraiser in the solicitation and fulfillment of the advertisers.